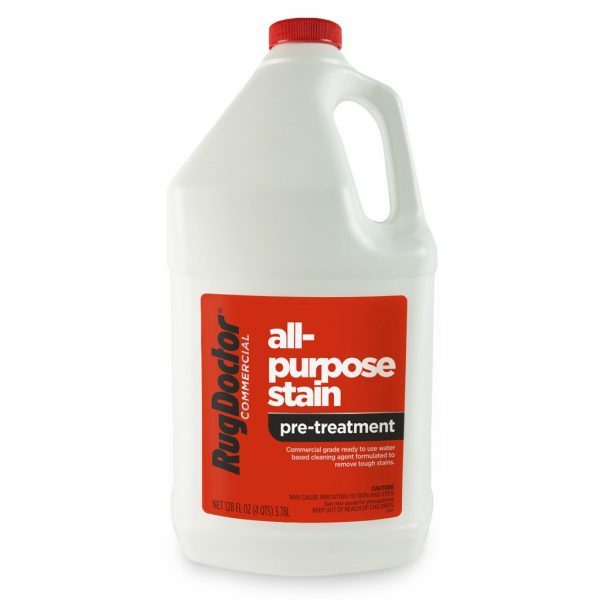 Protects and removes spots and stains while neutralizing odors. Removes the toughest stains including fruit juice, chocolate, grease, make-up, permanent marker, mud, grass, coffee, wine and oily spots. Rug Doctor Commercial All-Purpose Stain Remover is scientifically formulated to remove the toughest of stains including fruit juice, chocolate, grease, make-up, permanent marker, mud, grass, coffee, wine, and oily stains. Designed to maximize the cleaning performance of professional grade carpet cleaning machines.